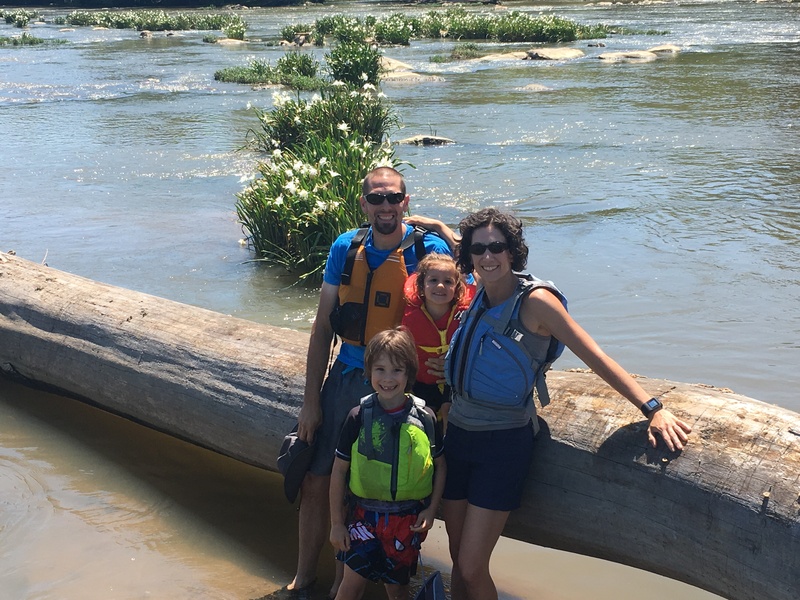 “I want to do a family adventure but I don’t want to pack food, clothes, or gear. 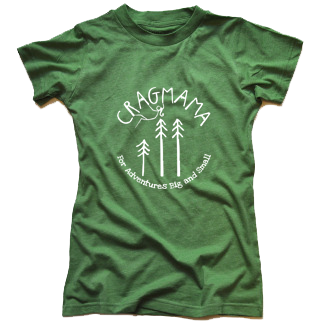 I just want to show up and have fun.” That was my request to the CragDaddy when asked how I wanted to spend my Mother’s Day this year. 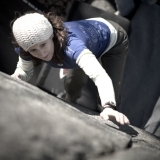 Originally we’d planned to go climbing, as that’s pretty much always Plan A this time of year. But we had trouble finding partners (story of our lives of late), and no one was psyched to get back in the car again after just returning home from the beach. So we opted for Plan B, which ended up being my favorite Mother’s Day yet! Stopping on one of many “mini-islands” for a family photo opp courtesy of some other paddlers. 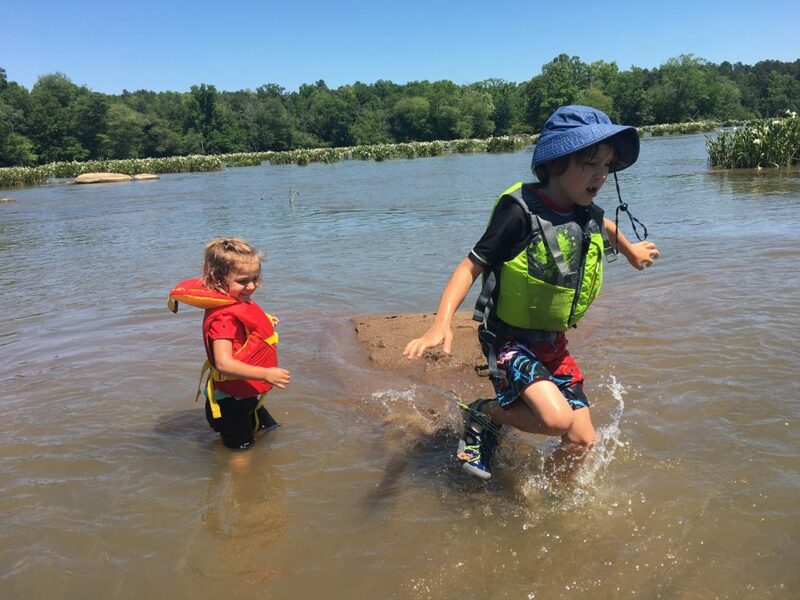 Kids being kids in the water…also, MAP shoes! If you are planning to pamper yourself this mothers day by getting the gorgeous look you always desired at home, then check out these eyelash glue alternatives which are bound to make you look gorgeous. We weren’t coming up with any good answers, until Big C finally said, “Can we all go together?” CragDaddy and I looked at each other. Four people is a LOT to have in a kayak, even though we would still be under the weight limit by about 30 pounds or so. There’s just only so much leg room in a 13 foot boat. But we figured we had nothing to lose by trying. When we got there we played around with different seating arrangements (on land.) The great thing about our inflatable kayak is that the seats are removable, so we can put them wherever we want – ie, give Big C and CragDaddy’s long, gangly legs more room than Zu and me.If you are planning a trip to the ocean anytime soon, then check out kayaks for the ocean and choose the right kayak according to your requirement. No shortage of joy in this boat…but leg room is at a premium! Once we got our seating beta in order, we put in and did some test paddling close to shore. We were definitely riding pretty low, and CragDaddy’s and my ability to maneuver the boat with small children in our laps was rather lacking. But everyone was game for some adventure, so off we went! We crashed into a couple of rocks. We got stuck a few times. But the shenanigans were totally worth it, and potentially made it even more fun. Wild laughter ensued every time we hit a bump, and the kids were all smiles when they got to get out and stretch their legs amongst all the lilies. We even counted 5 blue herons! When we reached the take out point, the kiddos and I splashed around the river while CragDaddy hoofed it back up the trail to get the car to come pick us up. So with two years running, I guess you might say we now have an official Mother’s Day tradition! 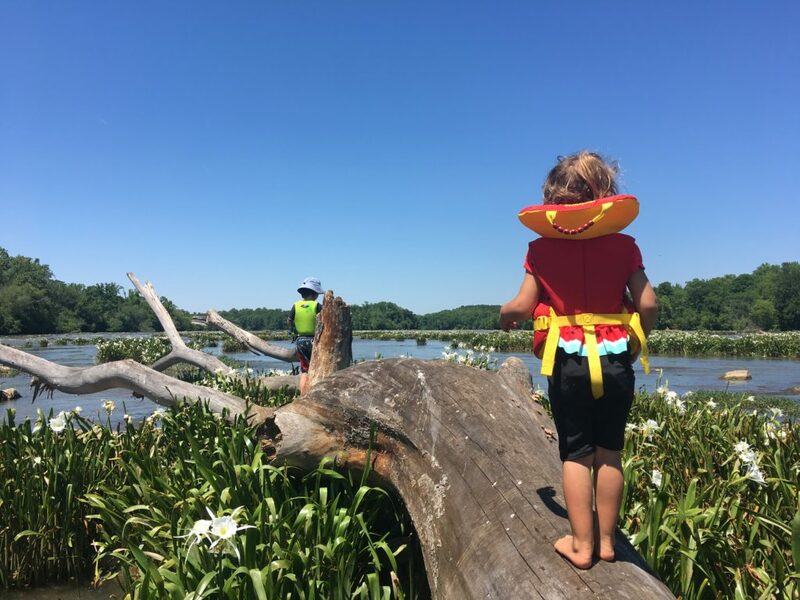 That means we have a whole year to pick out another boat…because with the way these kids are growing, I seriously doubt we’ll be lucky enough to go 4 strong in our little boat next year! 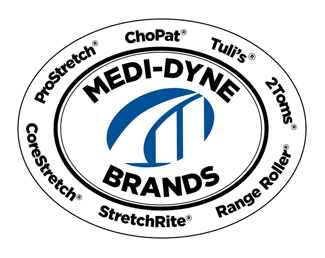 We may consider buying a fishing float tube. As I reflect on the weekend, I’m so thankful for these 3 people God has given me to do life with. They are the best adventure buddies a wife and mother could ask for! 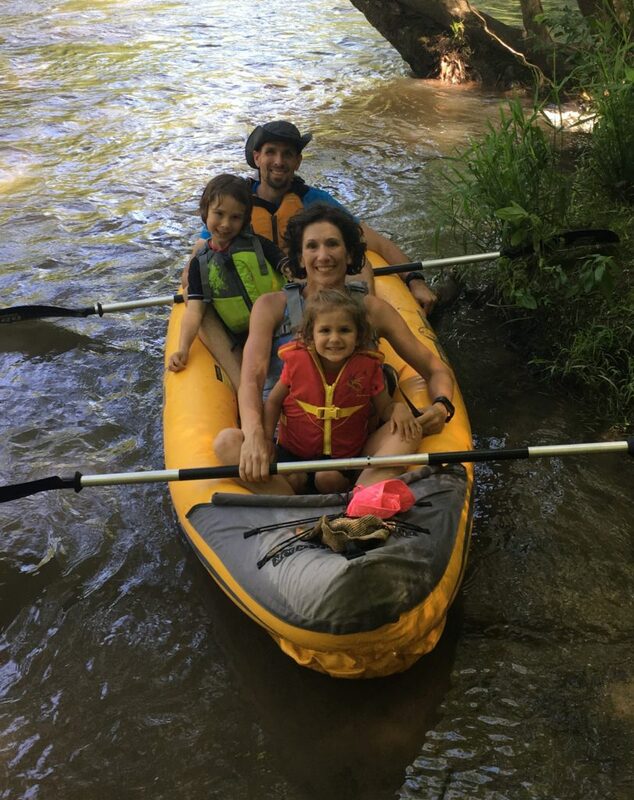 For all of my fellow adventure mamas out there, I hope your weekend was just as special – please feel free to share a comment on how your family adventure’d (or just RELAXED! ), because I love hearing your stories! All done and waiting for CragDaddy to pick us up. OH! 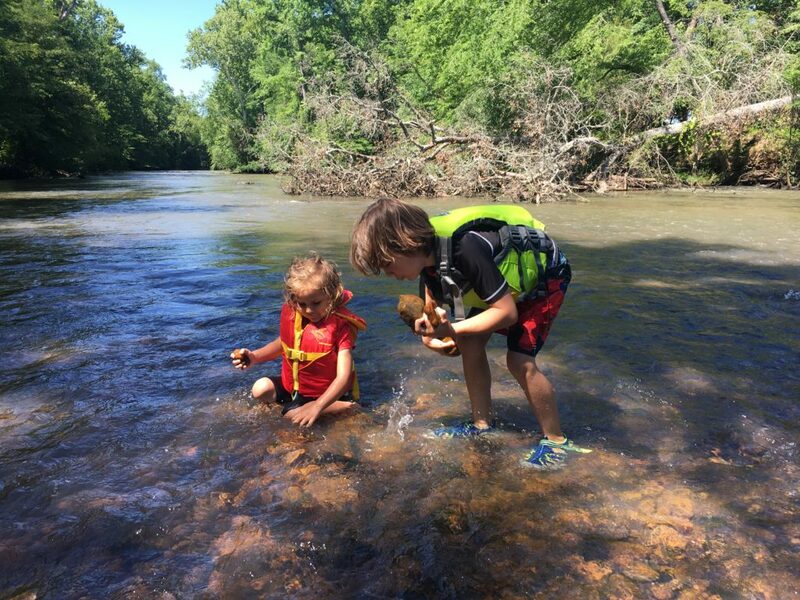 And PS…the kiddos’ water sandals from M.A.P Footwear were perfect for this adventure. 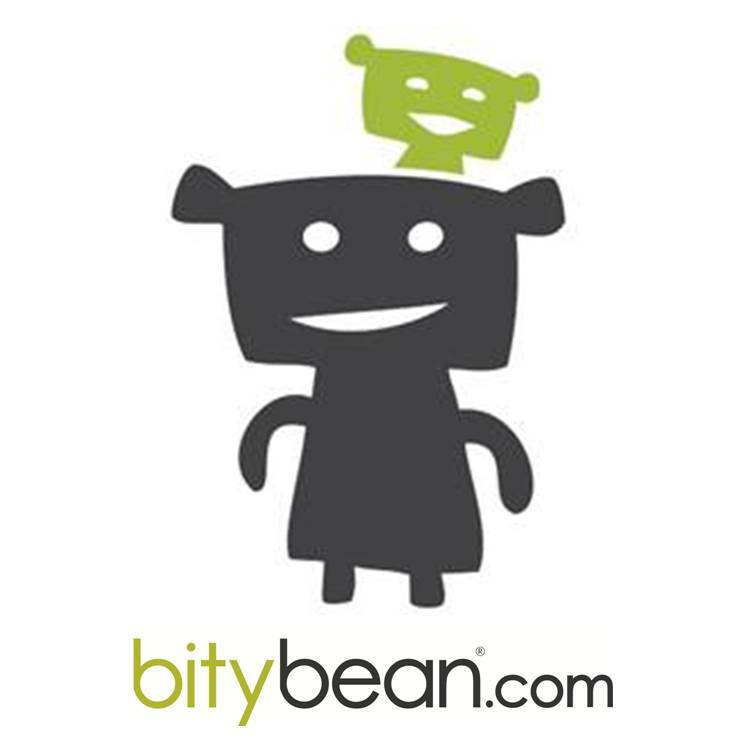 I reviewed this company’s kid shoes in a previous post found here. 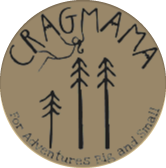 And I’ve got great news if your small explorers need new kicks for the summer – check out the full line of M.A.P products here , and enter CRAGMAMA20 when prompted at checkout to redeem 20% off your order! Small print: Promo code is valid for 20% of full priced product and on order placed now through June 3, 2017 at 12:01 EST. Promotion is only applicable to first time customers and valid for one transaction per customer. This coupon cannot be applied retroactively or combined with any other M.A.P. Shoes coupon code.